As part of our 5th year celebration, GiveMeTap has launched a brand new initiative to work with a talented artist and use their artwork to bring GiveMeTap bottles to life. We’ve partnered with the brilliant Sarah Owusu to create the first ever African inspired water bottle collection, ‘Owusuism’. Sarah’s work has been consistently inspired by Africa and in particular, her Ghanaian heritage. She strives to show how we can use bold colours and encompass traditional African symbolism in a contemporary way to emphasize how beautiful and brilliant African-inspired art can be. Together, we wanted to showcase our shared strong values through the best means we know how = a water bottle. 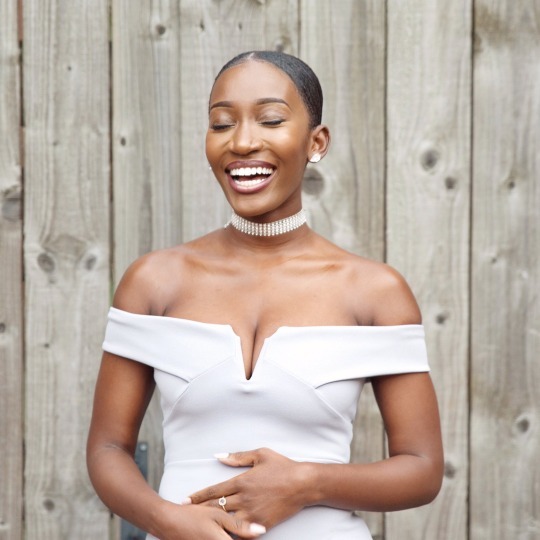 The ‘Owusuism’ GiveMeTap collection showcases some of Sarah’s work in a really exciting way. The ‘Our Africa’bottle has been painted with 4 specific, bold colours, Black to represent the people, yellow to represent the sun and the gold on the land, green to represent the richness of the land and orange to represent the harvest. The ‘Symbolic’ bottle is showered with four key Adinkra symbols, which derive from Cote D'Ivoire and Ghana. They represent the concepts Gye Nyame, which translates to “Only God”; Akoma, which symbolises a patient love; Adinkranehene, meaning “Authority” and Mpatapo which symbolises “Harmony”. By creating a bottle with GiveMeTap, Sarah is embarking on her first ever partnership to bring her artwork to life in a way that can benefit those in her home-country, Ghana. 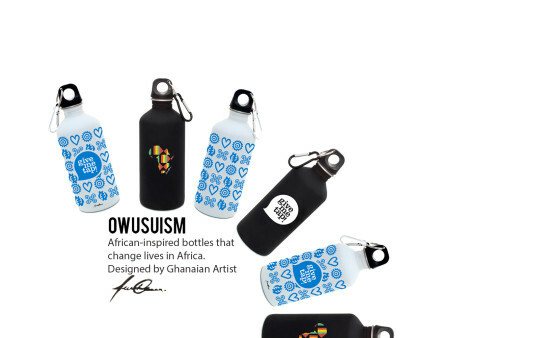 Every ‘Owusuism’ GiveMeTap bottle purchased will give someone in Ghana access to 5 years of clean drinking water. With each sip you’ll be supporting not only those in need across Ghana, but a local talent here in London who is challenging the way African art is used & portrayed.